Make a big impact with 18oz Matte Full Color Blockout Vinyl Banner Printing. 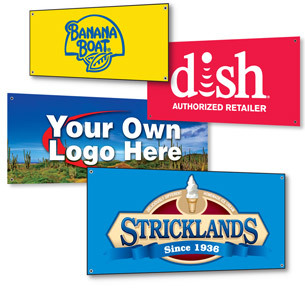 We print large format vinyl banners on 18 oz. matte vinyl at high resolution in 4-color process for indoor & outdoor use. Our state-of-the-art process delivers crisp consistent colors and high resolution reproduction for clear sharp images and text at almost any distance. Contact us for additional sizes and materials and finishing.